Four staff members of Gam news, an independent Persian-language news channel on the Telegram messaging app, remain in detention three months after being arrested in connection with the channel's coverage of workers' rights protests in the southwestern Iranian province of Khuzestan. 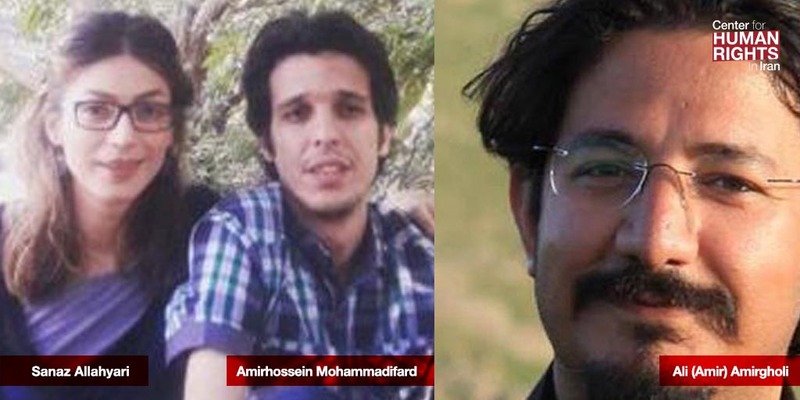 Correspondent Ali (Amir) Amirgholi, who was arrested on January 16, 2019, remains in detention in Ahvaz Central Prison, in the province's capital. "On March 27  we visited him in prison," Abbas Amirgholi told the Center for Human Rights in Iran (CHRI) on April 8. "Thanks to God, the prison authorities had given him his diabetes medicine. Now we're hoping that his case will be quickly transferred to Tehran." Amir Amirgholi was previously imprisoned for two and a half years after being convicted of "insulting the sacred," "insulting the supreme leader," "assembly and collusion against national security," "disturbing public order" and "propaganda against the state" for his peaceful activities. He was released in May 2017.